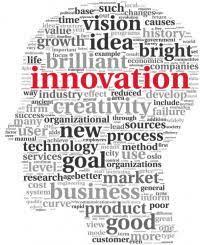 Innovation is a much quoted but little understood concept particularly with Australia’s 250,000 small to medium-sized businesses, who are often keen to understand how it can be effectively applied to their own enterprises. With nearly 50 different definitions in common usage it is perhaps not surprising that there is this enormous gap in the knowledge on this much vaunted topic. And the current focus by all levels of Government purely on Start-Ups (max 5-10,000 country-wide), and to a lesser degree Corporates (who can usually look after themselves), compounds the situation for SMEs even further. What seems to be overlooked is that Germany has become a powerhouse world economy by strongly supporting the efforts of innovative SMEs – see Mittelstand. This is in stark contrast to this country’s historical approach, which ignores the fact that SMEs often already have the ‘real world’ business experience, resources and access to capital to successfully implement innovative ideas. Let’s be realistic, most students and young people (would-be innovators) are already struggling to make ends meet on a daily basis, which has to be a major hurdle, and having to rely on academics for guidance on commercial-type matters that necessarily underpin innovative projects is also fraught with problems. When thinking about implementing innovation one of the major issues is: Who will actually be driving the project? Is it a one-man band (or better co-founders), a corporate or an SME? Of course, the basic approach (stages) to innovation always involves what I call the 3 Es viz: Exploration, Evaluation and Execution – see 360 Enterprise Innovation Framework. Critically the most important E is different for each of the would-be innovators. For example with newbies it is always Exploration – What is the great idea and what problem does it solve? With corporates it is Execution (either roll-out the proven innovation with in-house resources, licence or spin-out to a new entity). And with SMEs the focus is on Evaluation – usually involving lengthy prototyping and numerous modifications. The innovation challenge for most SMEs in this country is how do they incorporate the necessary R&D into their day to day operations and (in the absence of any external support) how to absorb the negative cash-flow for lengthy periods without undermining the on-going stability of their core business. 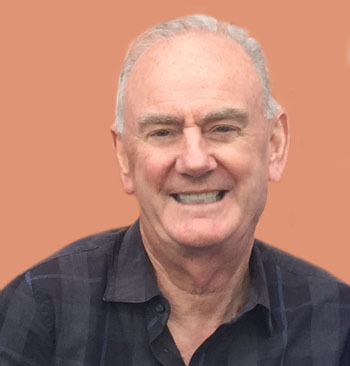 Dr Andrew M Connery is the Director of Innovation at CTPM Australasia and has been active online since 2001. Andrew completed his PhD at the UOW’s Sydney Business School in 2015 his doctoral dissertation ‘Overcoming Barriers to the Introduction of Perceived Disruptive Innovations in to Rigid Efficient Systems’.